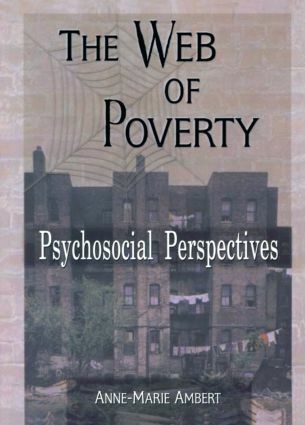 The most interdisciplinary, integrated text on poverty, The Web of Poverty: Psychosocial Perspectives gives you a full understanding of poverty and its consequences, equipping you to affect social change. This unique book examines the social and personal causes of poverty, focusing on the consequences of poverty at the neighborhood and school levels and on families, children, and youth. Ethnic and racial minorities are considered throughout the text, and a chapter is devoted to the interface of poverty, segregation, and discrimination. Poverty is often the cause of other social ills such as delinquency, which can destroy the social fabric of neighborhoods and limit opportunities to escape impoverished situations. The Web of Poverty will help you accurately see poverty as part of this “big picture.” It contains material from the fields of sociology, developmental psychology, family studies, economics, delinquency, ethnic studies, health, and behavior genetics. This amalgamation gives you a thorough psychosocial perspective. Single Fathers: The Real Problem? Is More Medical Care the Solution?